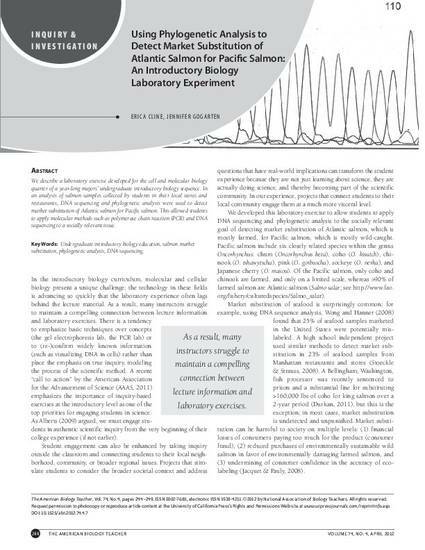 Published as "Using Phylogenetic Analysis to Detect Market Substitution of Atlantic Salmon for Pacific Salmon: An Introductory Biology Laboratory Experiment," Erica Cline and Jennifer Gogarten, The American Biology Teacher Vol. 74, No. 4 (April 2012), pp. 244-249. © 2012by the Regents of the University of California.